Sukat Makkaralla is a series of glasses and carafes designed by Anu Penttinen for Marimekko. These charming glasses and carafes are the latest members of the In Good Company tableware family, and they have attitude. The series is composed by one-coloured glasses and multicolour glasses and is completed by beautiful carafes of different colours. Sukat Makkaralla is a Finnish expression which means “socks rolled down”. Like a person with his or her socks rolled down, Anu Penttinen’s glasses and carafes are natural and liberated, self-assured individuals. 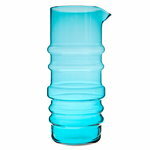 The Finnish designer and glassmaker Anu Penttinen (b. 1974) graduated from the University of Art and Design Helsinki in 2002. In 2003 she founded her own design company, Nounou Design, specialized in handblown and unique art glass objects and later on also in glass objects in serial production. Also other materials such as textiles, wood and metal have been slowly incorporated into the selection. 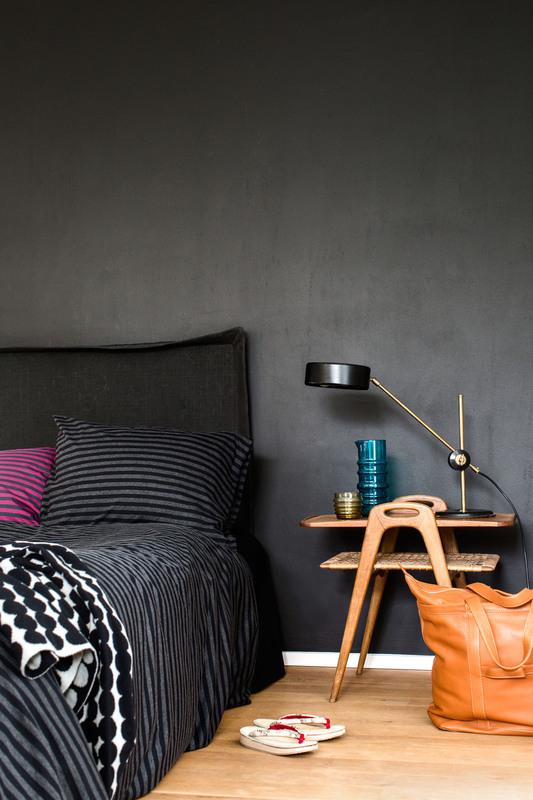 As a freelance designer, Anu Penttinen has contributed to the collections of different companies in Europe. 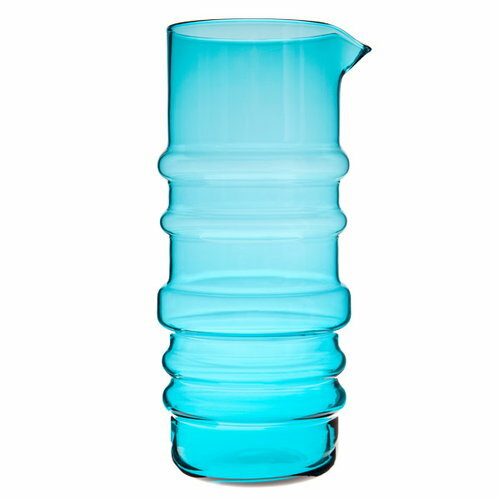 Her most famous work is probably the Birds by Penttinen (2008) designed for Iittala. Iittala Birds were born in 1972. The first collection was designed by Professor Oiva Toikka, renowned for his unique contribution to Finnish art glass over the past half century, and grows every year with new pieces. Iittala Birds have become famous worldwide and have many collectors around the world. Iittala asked Anu Penttinen to design her own interpretation of Iittala birds and she created her own humorous version, getting the inspiration from the world of the cartoons and comic books. The birds she created are playful and charming, each one with its own personality. For Iittala she also designed the collection Vitriini (2010), colourful boxes to use as showcases to put one’s belongings, realized in glass, wood and aluminium.